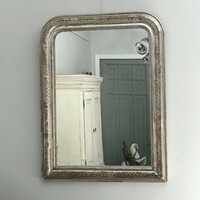 19Th Century Distressed Gilt Mirror. 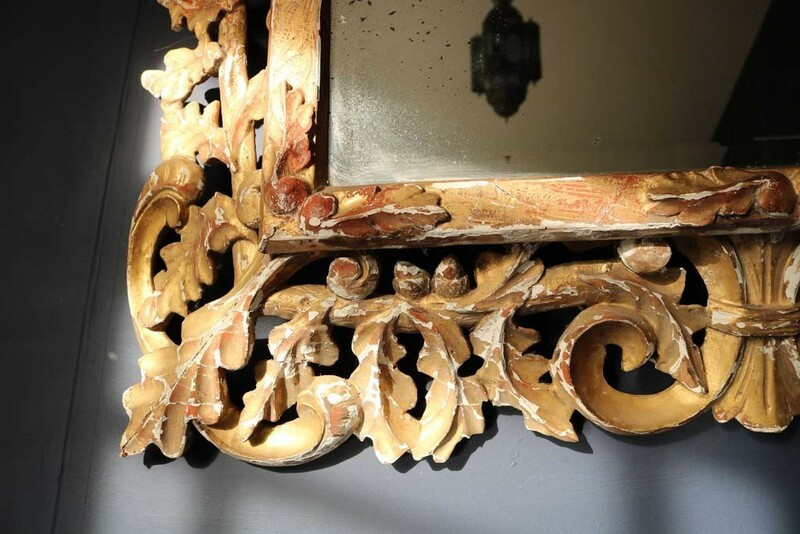 A French 19th century gilded mirror with beveled glass and floral motifs in the surround, including oak leaves, acorns and central motifs, the mirror is in a wonderful distressed condition showing is different layers of gesso and in some areas back to the wood. 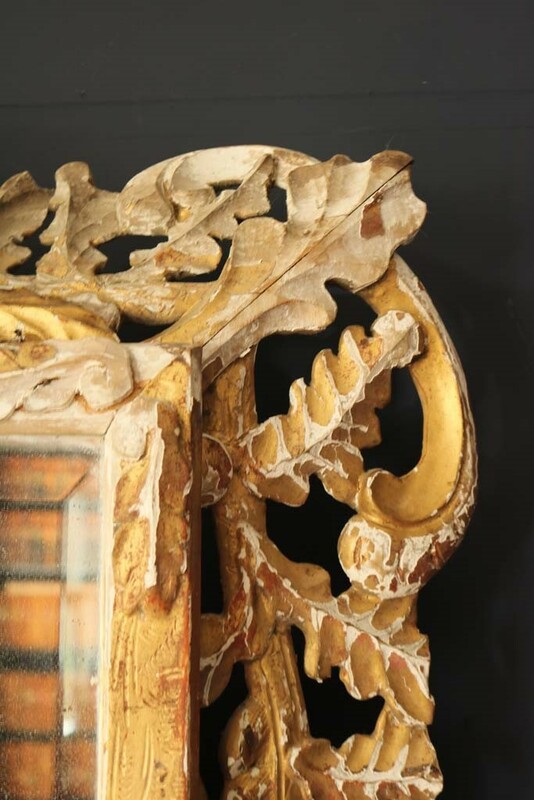 the bevelled glass has areas of ageing and foxing which makes the glass sparkle.